In 2 or 3 litre pressure cooker add 1 cup water, oil and salt. Switch off the flame and using spatula release cooker pressure manually. Add in flours and use fork and quick stir it. Close the cooker with lid and weight. Keep it aside for 20 minutes. After 20 minutes open cooker and knead the dough for 5 minutes. Make lemon sized balls and dust it in flour and roll it using rolling pin , in between sprinkle flour and roll like the same way you do chapathi. While transfering roti to tawa be very gentle as it's so soft and it will break. Refer the video for cooking roti. Serve it with chutney or any curry. Please follow measurements properly for roti . Tawa must be very hot once and reduce flame to medium while cooking roti. 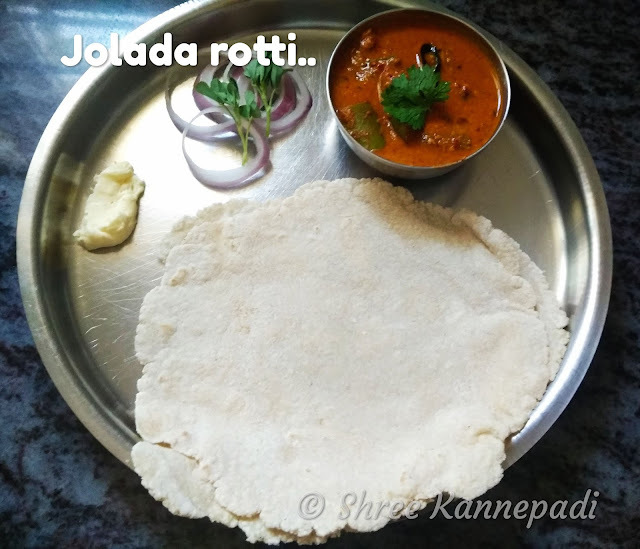 Roll roti very thinly then only it will puff and stay soft for hours. Serve with little spicy curry specially with brinjal curry . In a pan add oil and add in curry leaves and green chillies fry for 20 seconds then add in chana dal and roast till you get nice aroma then add in chopped brinjal, jaggery, salt, cilantro and saute for 2 minutes. Add in tamarind paste and 1/8 cup water, cook brinjal until all the water get evaporated. Switch off the flame. Once the mixture turns to room temperature add it into mixi jar along with coconut and make chutney using 1 or 2 tablespoon of water. Heat oil add in mustard seeds and curry leaves wait until mustard seeds splutters. Switch off the flame and add it to chutney. 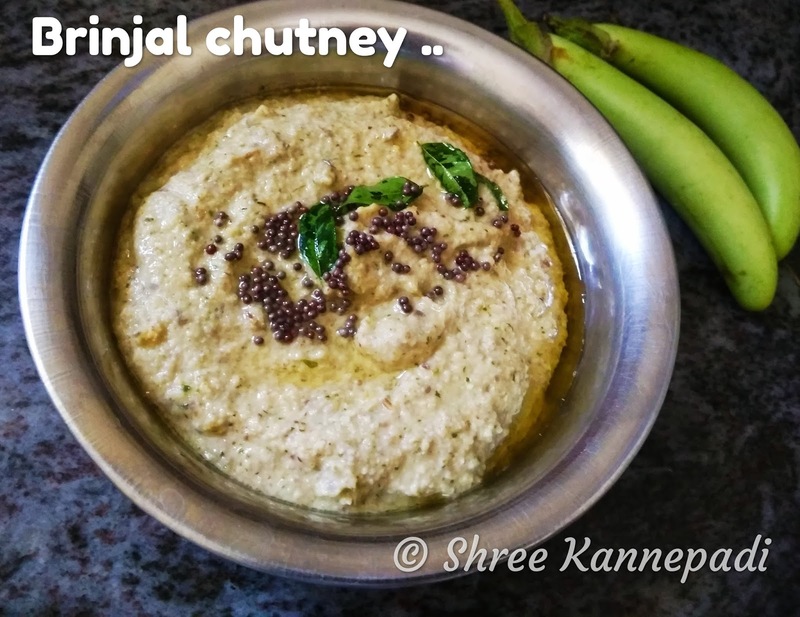 Serve this chutney with Jowar roti, dosa , chapathi or with white rice.